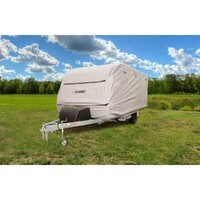 Camec 12-14ft Pop Top Caravan Cover - With 3 Year Manufacturer Warranty! 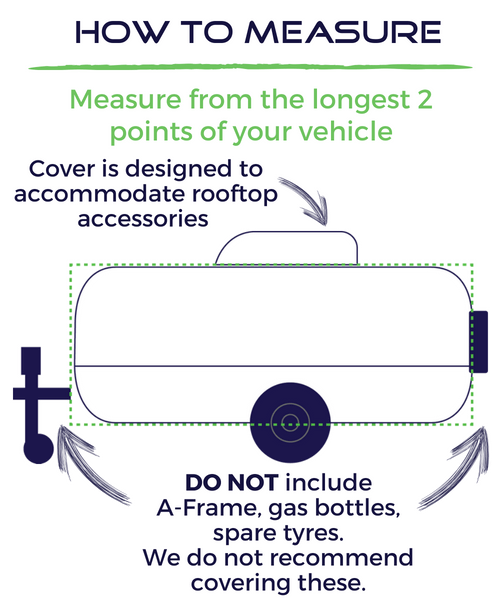 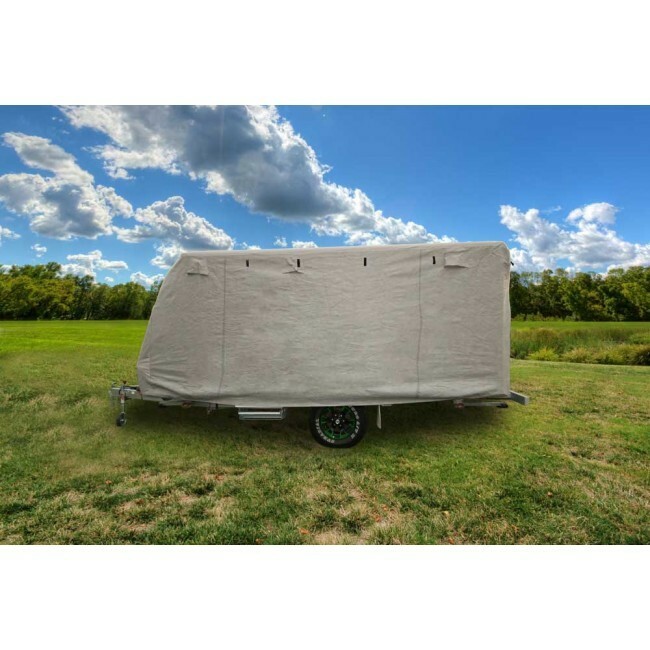 Custom made for small pop-tops measuring between 12 and 14 feet externally, this high quality caravan cover from Camec offers effective protection from acid rain, industrial pollutants, tree sap, dust, bird droppings and weather damage. 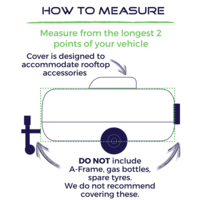 Featuring a water resistant roof section in conjunction with weather resistant yet breathable side panels to allow moisture to evaporate in order to prevent mould and mildew which can cause rot. 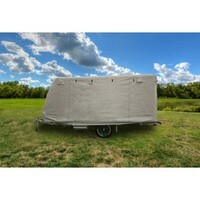 User-friendly features of this Camec pop-top cover include a lightweight build, a soft, non-abrasive inner lining, elasticated hem and conveniently located nylon straps with dual clips at the front and rear, to gather up and tighten any loose fabric coming in the way of a snug fit over your vehicle. Built to last through a good many years, this pop-top cover is equipped with extra reinforcements and double stitching at corners that might have to face sharp edges. 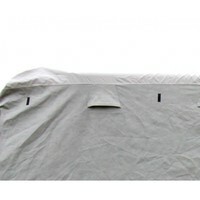 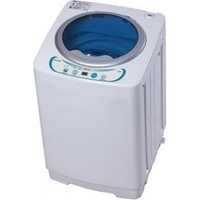 A heavy duty, reinforced skirt also adds to the secure fitting of the cover, providing added protection at the base of the pop-top. 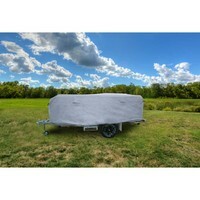 I was very impressed the service and quality of the cover .The courier company where prompt and reliable which made me believe I will use CaravanRV camping again in the future. 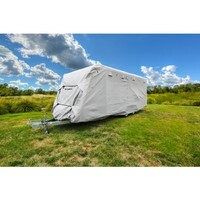 thankyou regards C .Martin.